I went out for a movie with Khee last Tuesday in Jusco Cheras Selatan (JCS). Both of us did not have good appetite on full course meal. I myself was craving for something sugary. 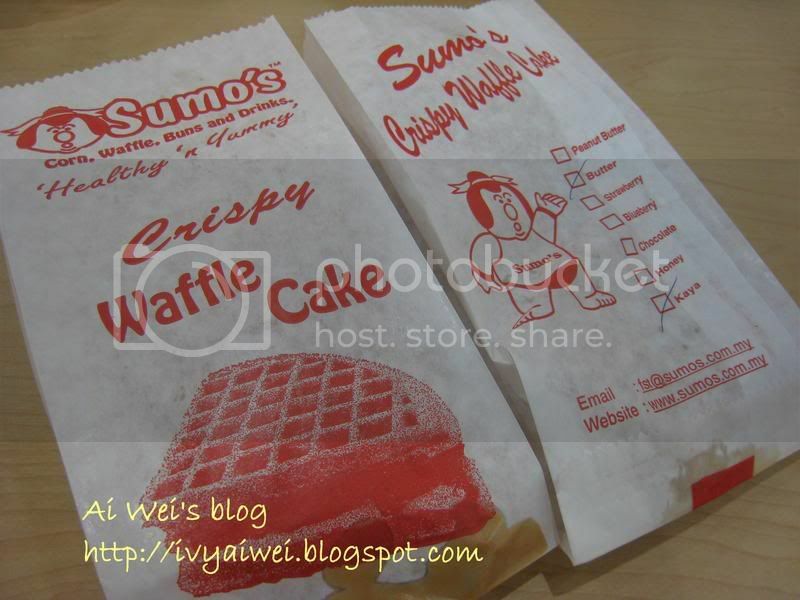 Hence I bought khee the Sumo’s Waffle where the small stall is located in the Jusco Arena Food Court. Waffle at the price of Rm 2.50 each. Cheap! Khee opted for the combination of kaya and butter while I had the chocolate and peanut butter (my all-time-favourite)! 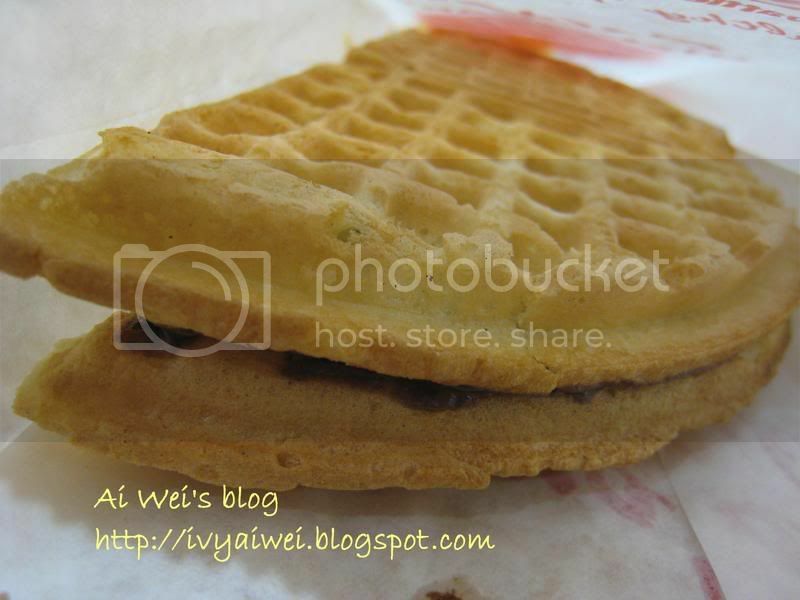 i like waffle with chocolate and peanut butter too. It should taste really good when was warm. I like those sold in pasar malan too. choc and peanut butter nice combination right? hehe, simply irresistable. those from pasar malam also delicious and CHEAP! must try out as much eatery as we can before you going to scotland e.